What is a Pączki you ask? Pączki are pastries traditional to Polish cuisine. They are similar to doughnuts. They can be filled with any type of filling. These are filled with Apricot and Prune or Plum Butter filling. So grateful that my sister dropped these off for my mom and I on her way home from work today. This day marks the start of the final week of the pre-Lenten celebrations.While the practice of Pączki Day is traditionally observed the day before Ash Wednesday in the United States, in Poland, pączki sales are the highest on Tlusty Czwartek, or “Fat Thursday.” (The Thursday before Ash Wednesday). 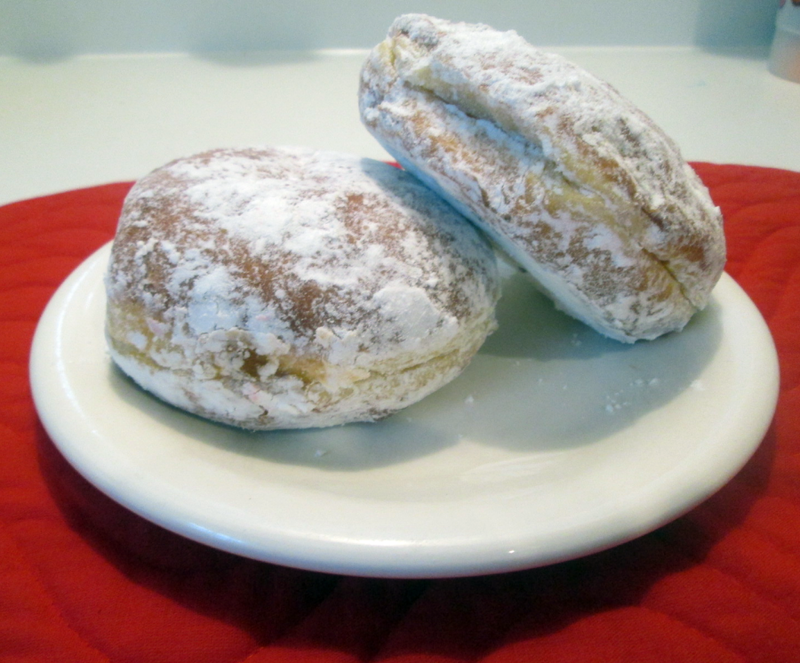 This entry was posted in Holidays, Life and tagged #paczki. Bookmark the permalink. Hey my Polish Sister from another Mister! Love this – and sorry I missed it – but wishing you a belated happy Paczki Day too!! Had some doughnuts tonight after pizza for our tiny Mardi Gras 💜💛💚🎭 dinner. 🍕🍩 Happy Pączki Day!